Do you want to move into a pristine property or are you looking for a fixer-upper? Knowing how to select the best property for you is a big challenge but the more you know and understand the easier the task will be, as you will see here. Buying a property is a major undertaking – after all it’s the biggest thing you will ever buy in your lifetime. You should think about your needs and wants as well as your budget in this situation. It is a purchase you will be paying for a long period in the future. Choosing a good property means different things to different people. For someone who is busy and has little time to spend renovating or decorating, a fully finished property is the ideal solution. They can move in with their furniture and that’s all there is to it. However someone with good DIY skills might want to look for a bargain they can gradually do up to their own standards and tastes. This route has the potential to save some money, but it does mean living on a building site for a good long while! It is also worth thinking about where your ideal property would be situated. Is it important that you have an easy route to get to work? You might want to live near a train station and also near some good schools if you have kids. Alternatively you may want to move out of the city and go to a more rural area with fewer people and more countryside to appreciate. There are more practical things to think about too. For instance living near a river is charming but how often might that river burst its banks? If this should happen your property may well be flooded, leading to upset and damage for a long time to come. You never know if it may happen again either. Every potential property should be checked for its condition prior to seriously considering whether or not to buy it. Subsidence is something that affects some properties and there is no way of knowing which ones might be affected in the future. If you want to buy a property that has already been affected in this way, you will need to get house insurance subsidence cover to account for this. House insurance subsidence cover is generally pricier than general insurance policies so bear this in mind before you make your decision. As you can see you should never rush into buying a particular property until you have all the information you need to do so. It is easy to become emotionally involved when buying a property, which is ironic really considering what an expensive purchase it is. If you make the wrong decision you cannot simply move out in a hurry. You have to make sure you choose the right house, bungalow, flat or mansion for your needs – something that will suit you both now and into the foreseeable future. Most of us move home at one time or another but in this case you can see it is easy to go through a few steps to make sure the home you buy now will feel like home for some time to come. 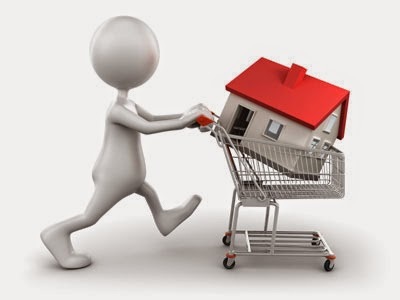 So – which property are you going to buy?